Literally, every second of your day counts. Especially when you are a blogger that works from home. Especially if you are a mom with small kids. Especially if you want to grow your blog quickly. And it seems like everyone has some kind of tool that you absolutely need (and buy). And this ONE TOOL will streamline your entire business. It will magically make you go from zero to millions. It’s the missing piece that your business has been dying for. Well. I’ve bought a lot of things. I’ve tried a lot of things. 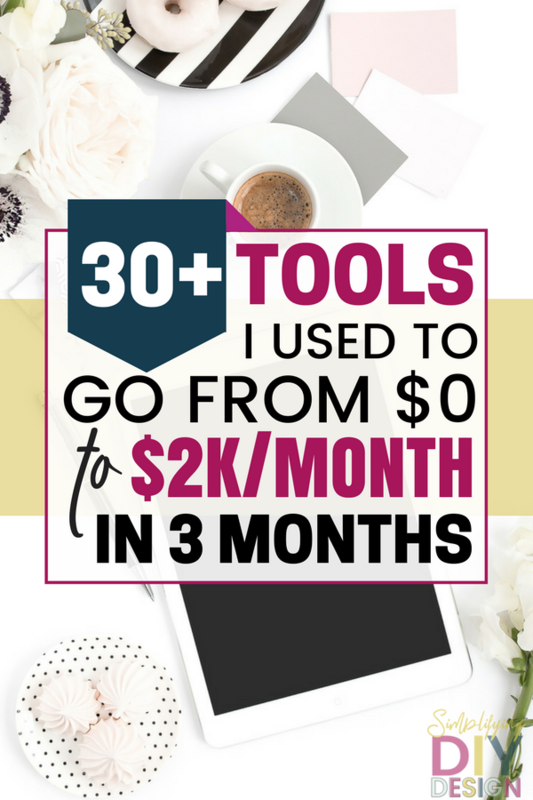 Here’s exactly what I used to go from launch date to over $2,000/month in just 3 months. Pixel Me Designs– I might be a graphic designer, but I’m definitely no web designer. Code=, not my friend. Unless you ask my 16-year-old self because I really decked out my MySpace page! Laura is not only affordable, but she did an amazing job with my branding and my website. I wanted bold and colorful, and I got it. The waiting list was a bit long, but it was worth it. I highly suggest getting on her waitlist as soon as possible! Siteground- I have a blog in a different niche. I made the switch to Siteground after Bluehost shut down my website after I had a post go viral. They said I was taking up too much space on the server. So I did some research and made the switch to Siteground. I LOVE them, and they have excellent customer service. Thrive- I use thrive to build my landing pages and my lead boxes. I love Thrive. I especially love that it was a one time cost instead of a monthly fee. It’s easy to use and looks professional. When they first made the switch to Thrive Architect, they experienced a lot of glitches. However, it seems to be resolved, and I haven’t had any issues. Grammarly- This is a free tool that helps you catch spelling and grammar errors. I’m terrible at grammar, I really am. The thing I love about Grammarly is that it works on any screen on your computer (not just the web). So email, facebook statuses, slack, WordPress, etc. It will highlight the spelling or grammar error, and when you click on it, it will give you the fixes. Can’t get easier than that! Sticky Blogging– This is an e-course that shows you how to write in an SEO friendly way that also captures readers and turns them into raving fans. The course is only available at certain times so if it’s not open for enrollment, make sure to hop on the waitlist! Fabulous ad, Kara! So well written. It’s hitting all my pain points! It makes me want to sign up again! Really nice work. Convertkit- Convertkit is who I currently use, and I’m very happy with them. I especially love that I can segment, tag, and build funnels within my email provider to automate sequences and sales. I have also used ActiveCampaign that also does all the same things at a cheaper price tag (however, I did have some issues with delivery occasionally while using them). List Love– This is a course from a pretty awesome chick that seriously gets 150+ subscribers per day. Yep, you read that right. So when she created this course, I jumped on it quick. I followed the course, and I’ve gone from 0 to 500 subscribers in less than 3 months. This is with getting approximately 100-300 pageviews per day. Again, this course is not available all the time, but you can hop on her wait list! Date Your List– This is an ebook that walks you through getting creepy close to your avatar (in a good way) and nurturing your list, so they trust you, LOVE you, and want to buy from you. How to Blog for Profit Without Selling Your Soul– This is by far the best ebook on starting a successful blog out there. I knew right away that I wanted to take Elite Blog Academy. Unfortunately, it wasn’t available nor could I afford it right away so I bought the book and it gave me a great start. 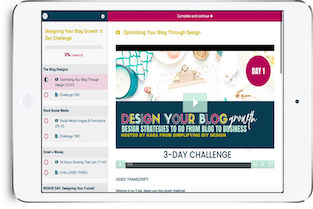 Elite Blog Academy– A few months after I started EBA I decided to start Simplifying DIY Design. I started the course over, implementing all the strategies from EBA. By my third month blogging, I was making close to full-time income. This is quite the investment, but worth every penny as you will definitely make that money back. Again, you’ll want to get on that waitlist! 10 Hour Time Block– I work from home. With two little kids. Who do not sleep. Literally, every second of my day counts if I want to grow my business quickly. I read other time management books, and it seemed like the author had no idea what it was like to try to work while being home with kids (especially under school age). The methods in this strategy were the first thing that actually made sense to me. I was able to implement it and stick to it, and it was a game changer! 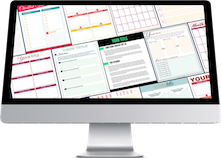 Acuity Scheduling– I use this for my coaching clients, and also for anyone that wants to schedule some time to talk with me about working together. It’s also free but has a paid version with more options. I love this tool because I can set my schedule and block of days and times that I’m not available. When I give someone the schedule link, it will only let them choose days and times that I’m available. No more “well, when’s a good time for you?” back and fourths. Trello– I think most of you know that I’m a HUGE Trello fan! I even have already made boards in our resource library for you to use. Trello has been a game changer for me when it comes to planning out my content and my projects, not to mention stepping out my goals. LOVE!! And again, free. Dubsado– I use this for literally anything client related and my bookkeeping. I was really bad about tracking income and expenses until I started using this program. It took a little getting used to, but I LOVE it now. SendOwl– If you sell digital products, SendOwl is a great tool. They pretty much handle the monetary transaction and delivery of the product. You upload your product, and they give you a URL for your “buy button.” When people click buy, they are redirected to SendOwl where they will fill out their credit card info, and then SendOwl will automatically email them the digital product. You know what this means? You don’t need WooCommerce to sell digital products! Yay! You can also set up an affiliate program with SendOwl. WP Simple Pay– This is what I use for Simplifying DIY Design since I don’t have any products currently that need to be auto-delivered. WP Simple Pay lets you create custom payment forms and embed them on your website. I LOVED this because I need to know what the email address associated with Canva accounts are for my Canva templates (this is often different than the email address they use when they pay). You can also use WP Simple Pay with WP Affiliate to set up an affiliate program. Paypal- I have a Paypal business account. I love that it comes with a debit card. As I started earning money, I would use the debit card to pay my monthly blog-related expenses. This way it didn’t touch my actual bank account (you know, before I opened a business checking). Stripe- I use stripe now to collect payments. It hooks up to WP Simple Pay so when people purchase my templates the money is collected by stripe and transferred into my checking account within 1-2 business days. Recurpost– I have moved away from this since hiring a VA to manage my Facebook, but before I could afford to outsource, this tool was legit gold. It’s basically MeetEdgar, but free. You load up different libraries with content (so for example, blog posts, other’s content, memes and quotes, engagement questions, etc.) and set it to a schedule. It will automatically post on a rotation. Essentially, you schedule your content once, and you can forget about it. Just upload new blog posts- it’s totally automated. It works for your Facebook groups too (great for daily prompts). Boardbooster- I use Boardbooster to automate my Pinterest account. I set up campaigns to grow my boards in addition to helping me pin constantly to group boards. 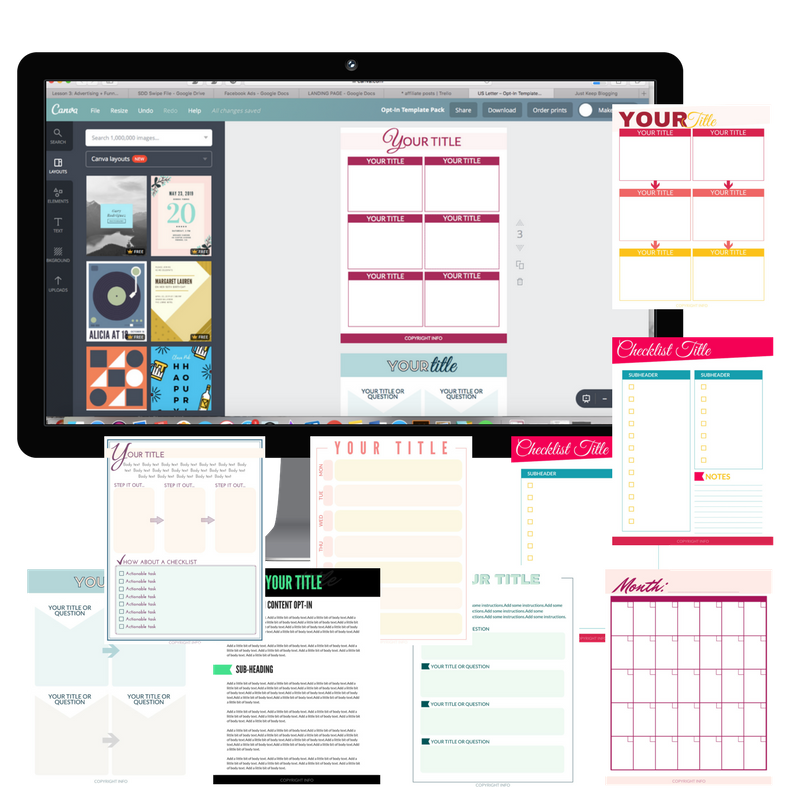 Social Media Templates– These save a TON of time when it comes to making my social media images. They are custom made to match your brand and style. All I need to do is swap out the background image and change the title. Done and done. Canva– You probably saw this coming from a mile away. YES, Canva is most definitely in my toolbox. I could go on forever about it, but one of the ways it really makes my life easier is by letting me quickly resize images. So I make my pin, my featured image, and my Facebook image super fast. Another great way is by setting up templates for myself so I can just make a copy and swap out the image and title. Want to learn more about designing in Canva? 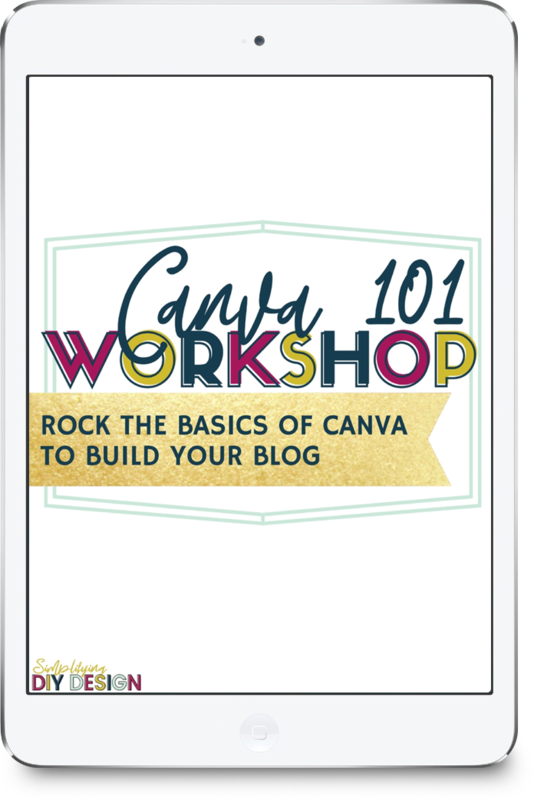 Click here to enroll in our FREE Canva 101 workshop! Renderforest– Helps me make cool text videos to promote blog posts and my freebies. Another awesome tool is Lumen5. We all know that video is the way the world is headed, but I don’t know about you, I don’t always feel up to doing a live sesh, so this is a super quick way to create an interesting video for your social media platforms. Depositphoto- I have officially been turned OFF from those free sites like Pexels and Pixabay. If you haven’t heard, people are putting their images on these sites then taking them off and suing people that use them for copyright infringement. No thanks. I definitely knew I wanted to purchase my stock photos, and DepositPhoto was the best for my buck. I tried other similarly priced sites, and the quality of photos just didn’t click for me. I’m extremely happy with the photos available on Depositphoto. Creative Market– I. LOVE. Creative Market. Seriously! They have weekly freebies (like free fonts, graphics, etc.). They also have awesome bundles (like 700 fonts for $20 and other crazy awesome deals). Personally, I like to find deals on graphic clipart, so I don’t have to worry about purchasing the licensing for individual Canva design elements. Ecover Maker– I use this to make all my 3D images of books, binders, and gadgets for my product and freebie promotional photos. These make the digital products look professional and eye-catching. If you want to learn more about creating product photos, click here. Pixistock- These are styled stock photos that are just beautiful. She sends also sends out free stock images each month. Another styled stock photo site I love is Ivorymix. She has a great resource library with a TON of free, beautiful stock photos. Here’s my full disclosure. Blogging is hard. I did not start with “no knowledge of blogging” when I started this site. I had already been blogging on my other site and learning. It’s true I started with zero subscribers and zero income. Less than 3 months after I launched, I had reached 500 subscribers and earned over $1500 in a one month span. But again, I had a strategy, I had learned and spent time building a foundation for my blog before officially launching. But I also knew when to say good enough, let’s click that button and launch it! I was also willing to invest, despite our tight budget. I had to be careful and make smart investments. In addition, I also had to measure whether or not a tool was working fairly quickly to determine if I could afford to keep it paying for it. There are so many tools out there it is easy to think you need to buy yet another thing. You start to feel overwhelmed. You start getting FOMO. Start small. Start with a foundation and work up from there. 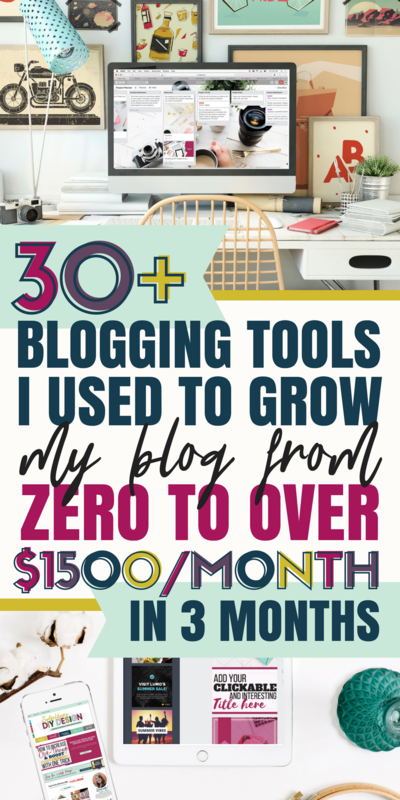 This is a big list- you by no means need to go buy everything on this list your first week of blogging. This is not an all-inclusive list either; it’s simply the tools I use for my blog. Start your blog, start writing, and set up an email list. Then start weighing your investments: Do you really need ANOTHER course or would your money be better spent on hiring a designer to create you a product that you can SELL over and over? Do you need another tool or maybe you could hire a VA to take care of social media for you? Do you really need a new outfit or can you get some templates created for your brand? You get the idea. Everything else will come with time as you grow your blog into an actual business. Want even more resources? 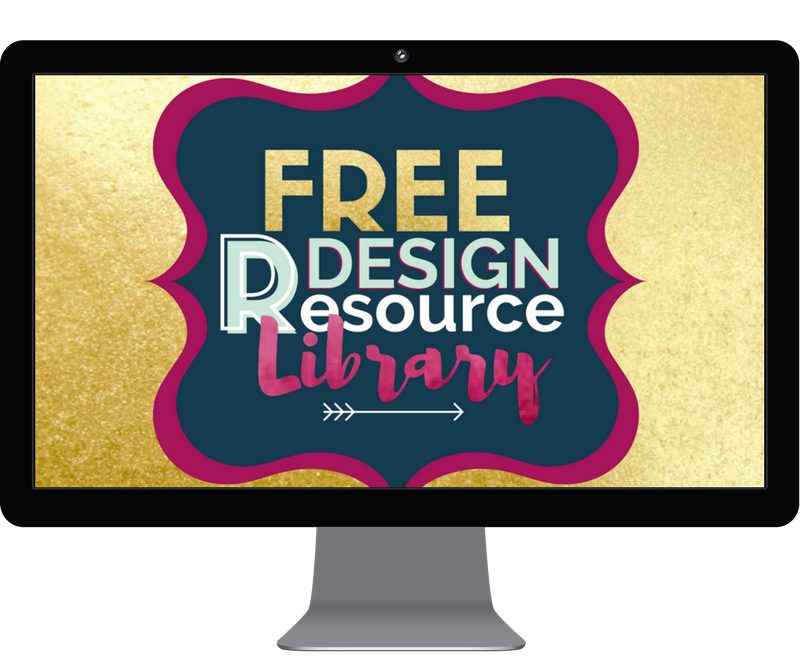 Like FREE Canva templates, design tutorials, and other tools? Want to remember this? Save this guide to your favorite Pinterest board! Some of the links in this article may be affiliate links. I don’t promote products I don’t use and love and truly believe will benefit you as my reader. What a great post! I really loved it so much that I pinned it so I can refer back to it. Thanks for sharing. I really like this list, Kara. You’ve done a fine job. There were a few ones I recognized and use regularly, like Grammarly. At this point, I’ve honestly converted everyone I know and their mother to using Grammarly. I love grammarly! I’d be lost without it, lol! Quite a comprehensive list of Blogging tools. Some of them are completely new to me. Glad to have found this article on pinterest. I’m so happy to see Dubsado made this list! Dubsado is amazing, a necessity for me! Very helpful. Thanks for posting. I’m going to check out these and I pinned to my board. Great list of tools Kara, recognize several and learned lots of new ideas. Will be pinning to my *new* Pinterest Business Board as soon as I finish setting it up, cheers! Kara, I’m surprised to hear that you had a different blog before this one. Was it in a different niche and what made you decide to branch out?